and white. So pearl powder is commonly used in cosmetic additives, it can be made into cream, lotion, facial cleanser etc..
2. 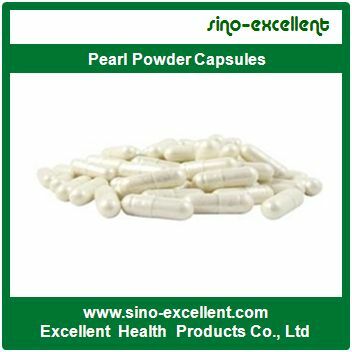 Pearl powder for oral administration: oral administration of pearl powder are usually made into capsules for using. It can enhance immunity, calcium supplement, anti-aging, sleep improvement, treating ulcers, Liver eyesight etc..